Hidden Heartlands – Get Away – Eat. Stay. Play. Take a journey into the unknown and uncover the very heartbeat of Ireland. Ireland's Hidden Heartlands has its own beat, its own vibrant pace. It's a place where you can find your own rhythm. 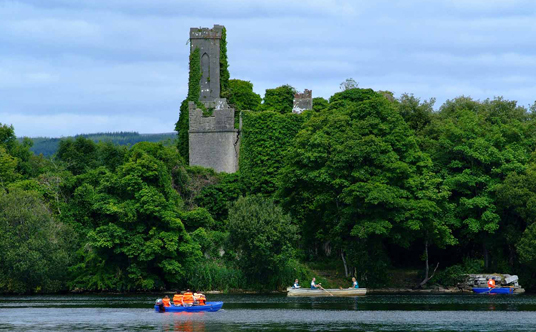 Whether it's an on-the-water adventure along the iconic River Shannon, a tranquil river cruise through breath-taking Lough Derg, or a journey through heritage and history in the bustling town of Athlone, there's plenty to see & do. Take inspiration from our itineraries to discover enriching experiences that will leave you intrigued, inspired, relaxed and re-energised! Ireland's Hidden Heartlands encompasses Leitrim, Roscommon and Longford as well as parts of Clare, Westmeath, Cavan, North Tipperary, Galway, and Offaly. 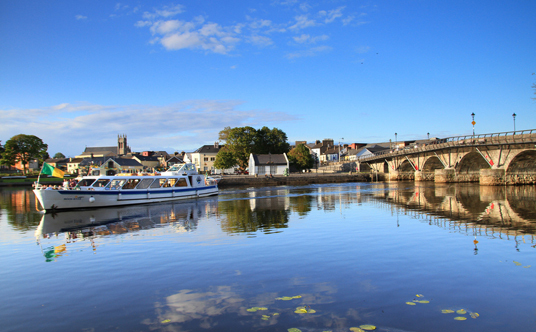 One of Ireland's most popular inland resorts, Carrick-on-Shannon is a county town of Leitrim and the cruising capital of the Shannon. With 750km of cruising on offer, the town is perfectly poised as the gateway to the Shannon to the south and the Shannon-Erne waterway to the north. Surrounded by unspoiled scenery, it's long been renowned as an angler's paradise with many species of game and coarse fish available within a short distance of the town. 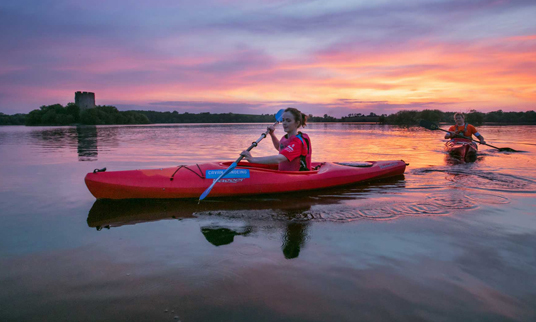 Whether you want to rent a cruiser or pick up a paddle boat, go fishing or indulge in a little retail therapy on the traditional streetscape, there is a diverse range of things to do in Carrick-on-Shannon. Whatever you're looking for, Carrick-on-Shannon and Ireland's Hidden Heartlands have something for everyone. Set around the pretty lake of Lough Key, Boyle’s forest park is bursting with activities. A short walking trail takes you through old servants' tunnels to a tree canopy walk; there's an adventure playground and a tricky indoor puzzle arena called the Boda Borg - recommended for older children - and you can also hire bikes, boats and Segways and explore the area. Elsewhere, burn off excess energy by checking your monkeys into Zipit Forest Adventures. It takes time to get used to the clip system, and you need to be aged nine or over to move beyond the basic level, but aside from that it's a fun and challenging aerial adventure course; with 900m of zip lines thrown in. You should give the Zipit Forest at least a day on your itinerary to enjoy the activity and the surrounding lake. Fear not, if you’d like to extend your stay there's a caravan and camping park available to visitors. If ziplining is something the family or group would be interested in, it’s essential to book in advance; head to zipit.ie. Make sure younger kids visit the loo before harnessing up, and bring €4 in coins to exit Lough Key's car park, too. The two-way Old Rail Trail begins in Athlone and meanders along for 40km to the market town of Mullingar. Naturally, the scenery and length makes it popular with cyclists. This is a ‘must’ cycle for anyone who likes getting out on their bike. As part of the Midlands Great Western Railway route, you cycle past flourishing small towns and lush countryside. How long it takes, and where you want to end up is entirely up to you. Along the way, be sure to stop in local eateries and haunts: if you head towards Moate, check out the Dún na Sí Amenity & Heritage Park, a vibrant hub of heritage, history, art, and genealogy. That's not to mention the ring forts and hidden hedge schools. Dún na Sí has a dedicated cycle path that follows the old rail track under arched bridges, through a tunnel and past beautiful countryside all the way to Athlone. With lots of entry and exit points, you can hop on and off to explore the villages and attractions along the way. If you stop in Athlone, call in to the Castle for a tour or the equally historic Sean's Bar for a tipple and a touch of history.